Carl Palmer's ELP Legacy first up for what promises to be another cracker! After the incredible demand for HRH Prog V in March 2017 (with bookings selling out 6 months before the show), HRH Prog VI will be staged back at Camp HRH this November, between 16th-19th November 2017. "Our HRH Prog community has grown tenfold in the last 5 years," explains HRH Founder/CEO Jonni Davis, "so realistically we should be staging two shows a year. Our fans are the best touchstones and guides for us: we're community-led, we listen to what the fans want and provide it. The take-up on bookings shows we're giving fans what they want, both in the acts and with the HRH experience. And there's so much talent out there! When you see what we've got lined up for a November, you'll understand why we're upping our game. The first addition to the hugely-anticipated HRH Prog bill is Carl Palmer's ELP Legacy, which will be performing “In Memory Of Keith Emerson, Greg Lake & John Wetton”. Whilst the majority of the material will be ELP’s, a couple of King Crimson songs that featured John Wetton will be included in the set. The legendary Carl Palmer himself adds, "The up and coming tour in November is a celebration of the music I have made over the years with Keith and Greg, and also John Wetton who has died this year. These are three very important people in my life. When all three died within a ten month period of each other, it was a great loss to us all. 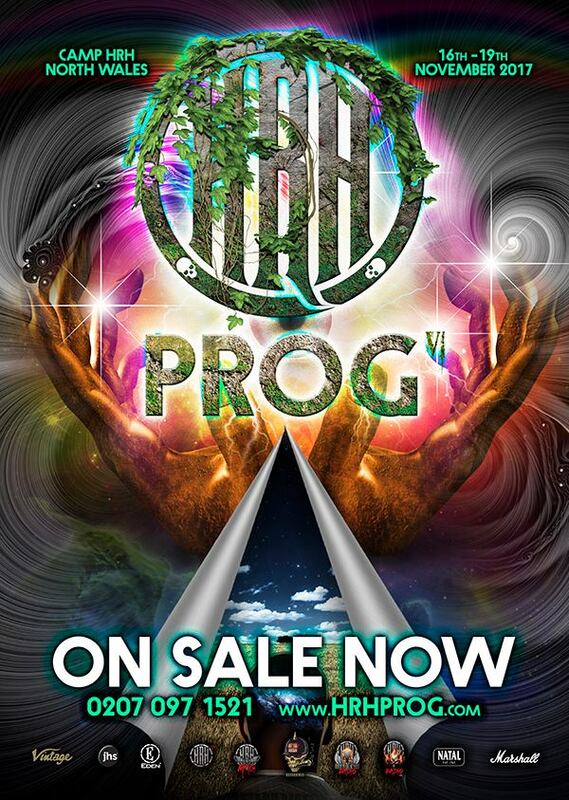 I look forward to playing some of the music I personally made with all of them over the years, at HRH Prog VI in November."